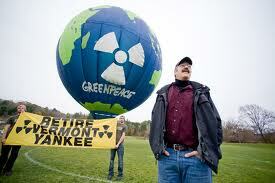 Vermont Yankee is a bad joke disguised as a reactor complex. Today it is closed, dropping the US below 100 reactors, a lofty total it will almost certainly never reach again. 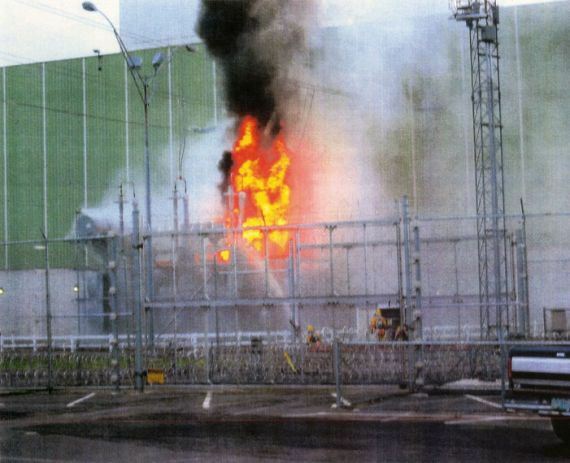 Just another day at the reactor – Vermont Yankee 2004 Transformer fire. The activists who fought this reactor did an amazing job, ultimately forcing the state of Vermont to vote against it’s continued operations and the Governor to demand it be closed. 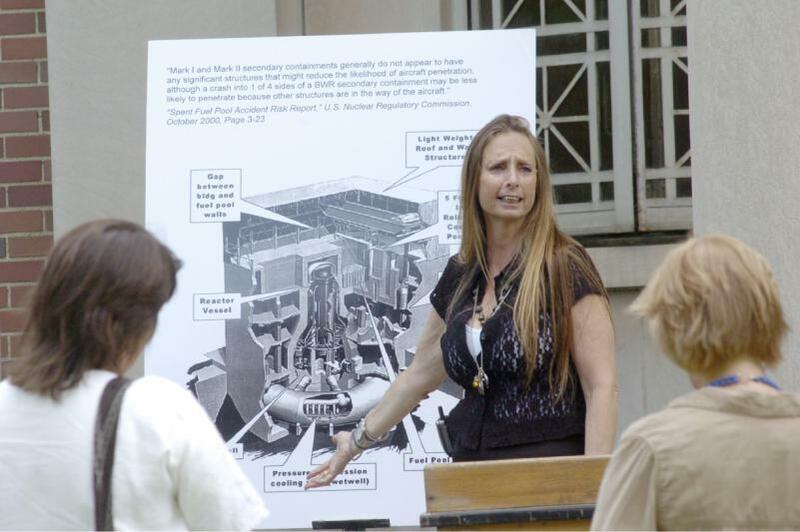 An act which had no direct effect, because the utility which owned Vermont Yankee hid behind the pro-industry Nuclear Regulatory Commission, which granted the plant a license extension. But the political waters for the continued operation of this lie and error plagued reactor had been set. And ultimately the will of the people prevailed over the power of the nuclear establishment. Vermont governor, Peter Shumlin, said: “Today, thanks to investments in renewable energy such as solar, Vermont’s energy future is on a different, more sustainable path that is creating jobs, reducing energy costs for Vermonters and slowing climate change.” Shumlin was a strong advocate for the closure of the reactor once its license expired. 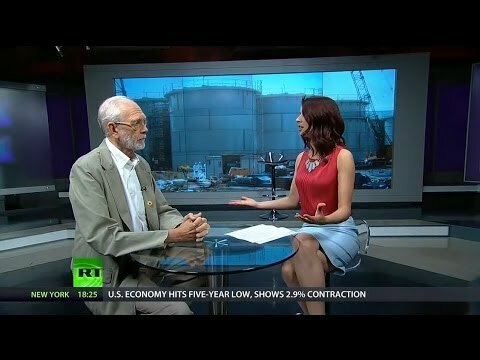 The New Orleans based Entergy Corporation bought this reactor in 2002, hoping this trouble plagued reactor would turn out to be a cash cow. They admit they were wrong. “This has been a bad investment for us,” said Barrett Green, an Entergy finance executive who recommended both that Entergy buy the plant and later that it be closed. But bad economics are not enough to close reactors any more. Were it not for the political organizers in Vermont, Entergy would be seeking the same kind of non-market solutions which Exelon is looking for in Illinois. Literally thousands of activists and hundreds of thousands of people across the small state of Vermont are responsible for this win. But i feel like i need to name some names. Deb Katz herded the cats that is the Citizen Action Network and ran some of the most fun action camps i have ever been to, and i have been to a lot of action camps. Relatively recently she has been joined by noisy and effective Chris Williams, and long NIRS board member. His next target Davis Bessie. Jim Riccio kept Greenpeace honest (a very tricky task) and focused on the one we could win. The whole lovely staff at Beyond Nuclear wrote reports, educated the press, supported activists and helped in innumerable other ways to shut this plant down. 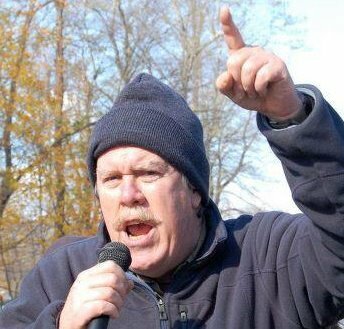 And a special thanks to the guy who got me up to Vermont Yankee in the first place, who was behind the scenes and occasionally quite out in front. My friend and mentor Michael Marriote from NIRS. The more one studies the behavior of the NRC, the more worried you get about this regulators behavior. We can start with the fact that the Nuclear Regulatory Commission has never denied a reactor license to anyone who applies for one. It does not matter if the selected site is on an earthquake fault or down river from an degraded dam or has an evacuation planning area which includes impossible sites like Manhattan. 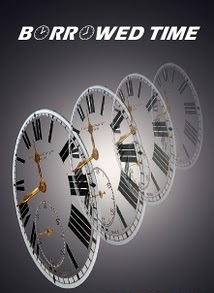 You want to build a reactor, they will work with you till the opposition is worn down and then grant you the license. 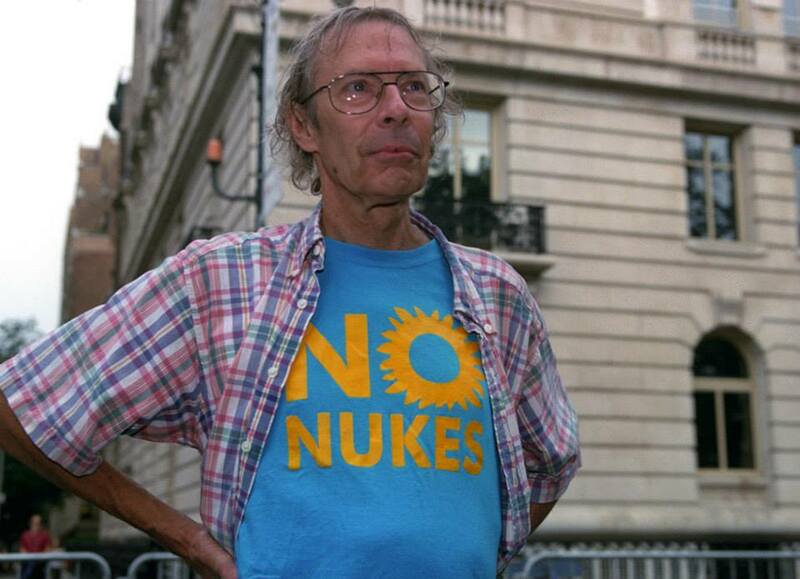 From many anti-nuclear activists perspective, having fought the agency long and hard, this is exactly what their purpose is – to shield the industry from criticism and give it what ever it needs to function, at the cost of public safety. The latest in the long line of NRC scandals is about dams. 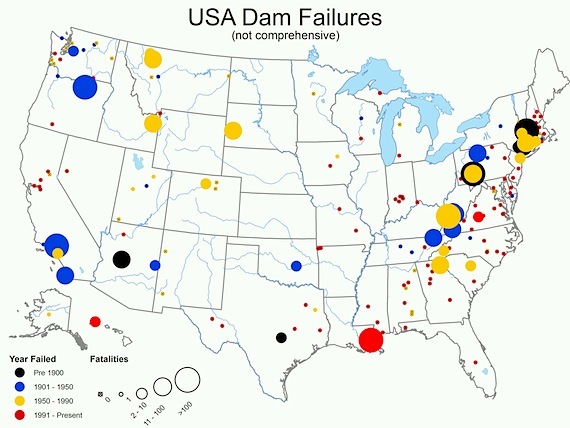 On March 6th of this year, the NRC issued a redacted report on nuclear safety near dams in the US. While reporting on over 30 reactors in danger of flooding (including not surprisingly Fort Calhoun which nearly melted down last summer from flooding), the NRC redacted (left out) the following information about the Jocassee Dam in in South Carolina. A more recent NRC letter (USNRC 2009) indicates that the NRC staff’s position is that a Jocassee Dam failure is a credible event and needs to be addressed deterministically. In the same letter, NRC staff expressed concerns that Duke has not demonstrated that the Oconee Nuclear Station units will be adequately protected. 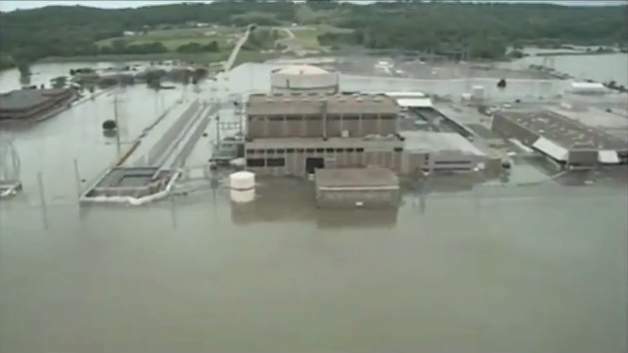 The reactor owner Duke Energy says the chance of the dam failure is less than 1 in a million. But in 2010, the NRC analysis estimated the odds in any given year of a large rock-fill dam similar to the Jocaseee Dam failing were about 1 in 3,600. That works out to about a 1 in 163 chance over the remaining 22 years on Oconee’s operating license. Or as Larry Criscione, the NRC engineer who contacted Congress over the Oconee issue, said “far better odds than drawing a straight in poker” and “significantly better odds — roughly 8 times better — than rolling Yahtzee. You want to bet your life on that? “Lucky” Fukushima forced 160,000 people from their homes who continue to live in temporary housing. Much of this article was lifted from a great piece in the Huffington Post, which i would encourage you to read.